IsraelAmerica : Why Did U.S. Peace Process Diplomacy Fail; What Happens Next? Why Did U.S. Peace Process Diplomacy Fail; What Happens Next? "The latest collapse of the Middle East peace process has underlined a reality that the Obama administration has resisted since it took office--that neither the current Israeli government nor the Palestinian Authority shares its passion for moving quickly toward a two-state settlement. And it has left President Obama with a tough choice: quietly shift one of his prized foreign policy priorities to a back burner -- or launch a risky redoubling of U.S. efforts." Since I've been trying to explain this for about ten years it's gratifying to see others getting the point. It's pretty remarkable that only after two years has the Obama Administration perhaps begun to get the first point: peace is not in the cards. One might also hope that it won't take ten years to understand that the reason for this situation is that the Palestinian Authority doesn't want peace. "[Palestinian Authority leader Mahmoud] Abbas has resisted negotiating with Netanyahu ever since he took office early last year, saying he doesn't believe the right-wing Israeli leader will ever offer serious peace terms. But Abbas also turned down a far-reaching offer from Netanyahu's predecessor....By now it should be obvious: at age 75, he prefers ruling a quiet West Bank to going down in history as the Palestinian leader who granted final recognition to a Jewish state." 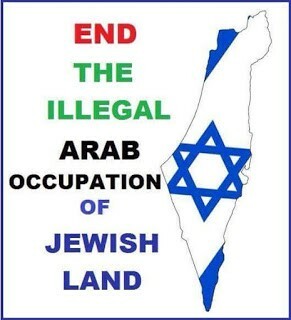 "As I have pointed out before, the settlements are mostly not material to a deal on a Palestinian state, since both sides accept that the majority of them will be annexed to Israel in exchange for land elsewhere. The issue has become an obstacle in large part because of Obama's misguided placement of emphasis on it, which forced Palestinian President Mahmoud Abbas to embrace a hard line." Then there's Diehl's second sentence in his lead: What will Obama do? Many people believe that he's so ideologically set on this issue that he's going to do a "risky redoubling." "A U.S. or international plan for Palestinian statehood and try to impose it on both sides. History--including that of the last two years -- suggests that double-or-nothing bet would produce a diplomatic fiasco for Obama and maybe a new war in the Middle East. But given Obama's personal fascination with Middle East diplomacy, there's a reasonable chance he'll try it." I agree with that argument, both regarding the "diplomatic fiasco" and the "reasonable chance." But this outcome is by no means inevitable. Preoccupied with domestic issues, possibly having learned something from the last two years (if only that he doesn't want to look foolish), fearing another diplomatic fiasco, opposed by Congress, starting to think about reelection in 2012, busy with domestic issues, Obama might well downgrade the issue in practice (even while maintaining rhetoric about high-level involvement. This is a question that will be resolved in early 2011. We should not assume the answer to the question but wait and see what actually does happen, carefully looking for clues along the way. I promise to do that. Footnote: Yes, I caught Diehl's reference to the "current" Israeli government not having a passion for peace. 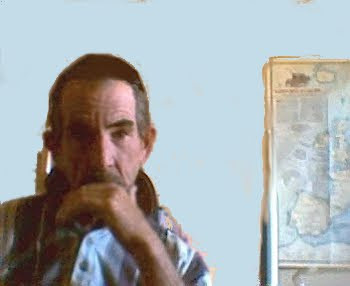 It should be noted that the current government also includes the Labor Party, the main party of the left, and that while a different prime minister might try harder--as former Prime Ministers Yitzhak Rabin, Shimon Peres, Ehud Barak, Ariel Sharon, and Ehud Olmert all did--as one can see from their experiences the roadblock still remains PA intransigence. 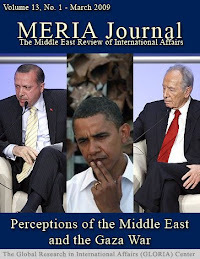 * Barry Rubin is director of the Global Research in International Affairs (GLORIA) Center and editor of the Middle East Review of International Affairs (MERIA) Journal. His latest books are The Israel-Arab Reader (seventh edition), with Walter Laqueur (Viking-Penguin); the paperback edition of The Truth About Syria (Palgrave-Macmillan); A Chronological History of Terrorism, with Judy Colp Rubin, (Sharpe); and The Long War for Freedom: The Arab Struggle for Democracy in the Middle East (Wiley). To read and subscribe to MERIA, GLORIA articles, or to order books, go tohttp://www.gloria-center.org. You can read and subscribe to his blog athttp://www.rubinreports.blogspot.com. We depend on your contributions. To make a tax-deductible donation through PayPal or credit card, click the Donate button in the upper-right hand corner of this page. To donate via check, make it out to "American Friends of IDC," with "for GLORIA Center" in the memo line. Mail to: American Friends of IDC, 116 East 16th Street, 11th Floor, New York, NY 10003. If you would like to make a tax deductible donation from the United Kingdom or Germany please email us for more information here. Son of Mubarak: Succession Without Success? Together We Can Free Jonathan Pollard!